Early last year, Californians, already deep in their state’s drought panic, confronted a depressing statistic. Governor Jerry Brown had called for cities and towns to voluntarily cut down on water use by 20 percent, but a survey of water departments showed they hadn’t managed to improve the situation by even 4 percent in March, compared to the same month of the previous year. The poor results suggested an important lesson: Water conservation isn’t going to happen on its own. Brown responded by mandating water-use reductions, which, so far, seems to have more of an effect. His effort is part of a growing push to save an increasingly scarce commodity—a problem that isn’t only drying up California’s rivers, but affecting people all over the world. What can we do now to protect our water supplies? And what technologies will ensure California and everywhere else will have safe, clean water for years to come? In advance of the Zócalo/UCLA event “Can We Engineer Our Way Out of the Drought?”, we asked a variety of water experts: What is—or could be—the single most important invention to help us survive growing water scarcity due to climate change? Californians are pretty familiar with recycling. Many wouldn’t think of throwing a can or plastic bottle into the trash after one use, knowing the materials could be reused many times over. And yet, that’s exactly what we do now with one of our most precious resources: water. •	Plumbing in our homes and business that allows us to reuse “greywater”—water from bathroom sinks, showers, and washing machines—for flushing toilets and watering landscapes, rather than letting it flow to the sewer. •	Capturing rainwater in barrels and cisterns for use, rather than letting it pick up pollutants as it flows off buildings and into streets, eventually contaminating rivers and oceans. In the 2014 report “Untapped Potential of California’s Water Supply,” by the Natural Resources Defense Council and the Pacific Institute, we estimated that California could save and create up to 7 million acre-feet of water annually—enough to serve 10 cities the size of Los Angeles every year. It’s clear that recycled water, whether municipally treated or reused onsite, is the most reliable local source California has, and an economical and environmentally sustainable engineering solution to help the state become more drought-resilient. Tracy Quinn is a policy analyst for the Natural Resources Defense Council’s Water Efficiency Team. Her practice areas have included water resources planning and design, pollutant fate and transport, and industrial regulatory compliance. The truth: there is no silver-bullet invention that can single-handedly address freshwater needs. That’s why in California, like everywhere else, we need an all-of-the-above strategy that starts with water conservation and recycling. But as the old saying goes, you cannot conserve and recycle water you do not have. California’s population has more than doubled since the state’s water management system was created. Seventy-four percent of its 38 million residents live in coastal cities, mostly in Southern California, where water is imported over great distances. This requires massive amounts of energy and infrastructure. Yet these Californians live right on the doorstep of the largest surface reservoir in the world: the Pacific Ocean. While there are more than 4,000 seawater desalination plants operating around the world—plants that convert ocean water to freshwater—there are no large-scale plants in California, even though the state is home to the reverse osmosis water treatment technology that is fueling a desalination renaissance. The historical impediment to desalination has been cost, but a desalination project in Huntington Beach that my company is developing can produce drinking water for roughly half a cent per gallon. Access to clean, safe, and affordable water should not be taken for granted. In the coming years, a renewable energy mandate in California will provide the state with a glut of clean electricity. A fleet of large-scale desalination plants directly powered by renewable energy won’t solve California’s water crisis—but is the state’s only truly drought-proof water supply that is immune to climate change. Scott Maloni is the vice president of Poseidon Water and manages the development of the company’s proposed Huntington Beach Desalination Project. While water withdrawn from lakes and rivers for use within the United States has declined 13 percent between 2005 and 2010, climate change and variability models still predict water scarcity in watersheds whose amount of snow or rain will decrease over time. These watersheds will most likely be areas of rapid population growth already stressed by water demand, such as the Southwestern United States. Advances in energy-efficient, fit-for-purpose treatment technologies can help us use more “nontraditional waters” (for example, municipal wastewater, stormwater, brackish water, agricultural return flows, and water produced from energy development) in agriculture, industry, and other sectors for everything from crop and park irrigation to thermoelectric cooling. This leaves more freshwater in sensitive ecosystems like the Colorado River, the San Elijo Lagoon Reserve, and Sequoia National Park. As water reclamation and reuse take on increased importance in the U.S. water supply, it’s essential that new technologies are used to match the supply with the demand—delivering water when and where it’s needed. These technologies have to take into account the water resource needs of whole ecosystems, by, for example, providing water to drought-prone areas or reducing flooding during heavy rainfall. Alternative and efficient water supply options, including reclaimed water, are necessary components of holistic and sustainable water management. Suzanne van Drunick is the national program director for EPA’s Safe and Sustainable Water Resources research program. She earned a doctorate from the University of Maryland School of Medicine’s Department of Pathology. Can we engineer our way out of this drought? Perhaps partially, but it will take a change of thinking at many levels. With increased population in California and strained water supply systems, most of which were developed decades ago, we need to think differently while leveraging technological innovation. Right now in California, agriculture and municipal users are in competition for water supplies. We need to look for opportunities to use our geographic advantages to help everyone in the state. For example, coastal communities have a huge potential source in the Pacific Ocean. And while desalinization is not without its impacts, if done right, it can allow existing water resources to be used in inland communities to support agriculture. The time has also come to get serious about recycled water as a source. On a macro scale, reuse can supplant other strained water sources. On a micro scale, greywater reuse can help homes and businesses save water and enjoy sensible landscaping. Direct reuse—the process of highly treating recycled wastewater—is more technically feasible than ever, and is applicable even for agriculture. To make these alternatives even more effective, we need to continue to improve on conservation across the board. Conservation does not mean rationing, but greater efficiency. Some clothes washers today use one-third the water their predecessors did, a savings of up to 35 gallons per load. Other water fixtures are much more efficient, too. A one-size-fits-all approach will not work. Instead, we must leverage innovative thinking and technology to achieve sustainable results. If we can rise to this challenge, we will ensure that California can weather droughts such as this one. Salud Carbajal is Santa Barbara County’s First District Supervisor. He is also a member of President Obama’s State, Local, and Tribal Leaders Task Force on Climate Preparedness and Resilience, and vice chair of the U.S. EPA Local Government Advisory Committee. Water is the ultimate recyclable. In areas where it is in short supply, getting more use out of every drop is key. The first step is repairing distribution systems, which commonly leak or lose some 30 percent of treated drinking water. The next step is reuse—developing ways to make wastewater potable again, or repurposing lightly used water for irrigation and other applications. Safe reuse and efficient distribution depend on real-time sensors and advanced analytics. 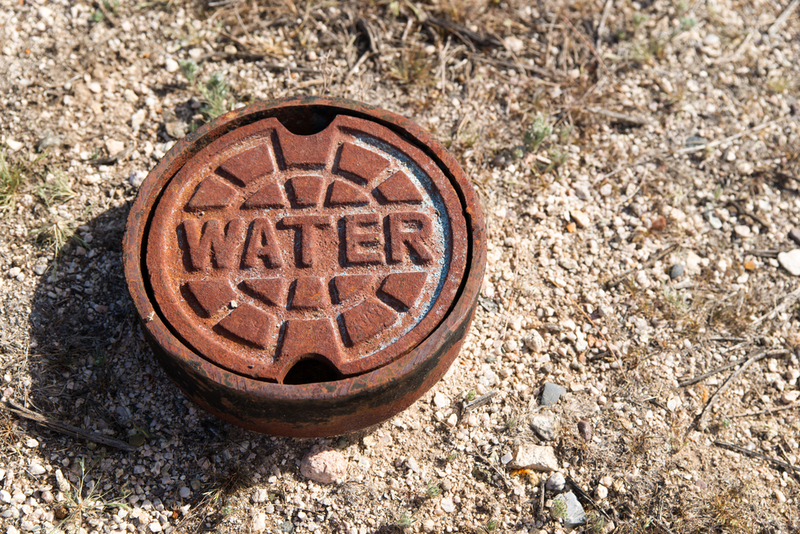 Water systems are spread across thousands of miles of long-neglected buried pipes. Measuring both flow and quality in real time can be the difference between efficiency and disaster. As the water industry wakes up to the need for better process control to conserve water, technologists are beginning to respond with powerful analytical tools. Water monitoring is rapidly evolving. My company is following a significant number of startups and larger companies that are dedicated to employing next-generation analytics for effective reuse. Examples include online monitors for harmful chemicals in industry, inexpensive sensors to ensure that each of the thousands of elements in a direct reuse system are producing safe water, algorithms to pinpoint water-main leaks before they grow out of hand, and small-scale household sensors that allow the safe reuse of shower water or monitor in-wall pipes for leaks. Brent Giles is a research director at Lux Research, where he currently leads the water intelligence, the exploration and production intelligence, and the alternative fuels intelligence practices. The current drought in California and other areas of the western U.S. is garnering headlines and prompting strong actions by local and state governments, but it is not the full picture of the country’s water problems. There are two separate but related water scarcity challenges that must be addressed. First, the current drought is part of a larger near-term water crisis in the West. Lower rainfall, combined with higher demand, has resulted in a significant drawdown of surface and groundwater resources that is not sustainable. In order to ensure that the near-term needs of communities, businesses, and agriculture are met, consumption habits must change quickly. This requires public policy interventions, in the form of financial incentives and penalties, coupled with a public awareness campaign, to reduce consumption across all sectors of the economy. These interventions are well underway in California and elsewhere, though it is still too soon to tell whether they will be adequate. The second challenge is longer-term, broader-reaching, and more difficult to solve. Weather patterns are changing as a result of global warming, and dry areas are becoming drier. Reducing climate change—first and foremost by taking advantage of advances in energy efficiency and renewable energy—will have the greatest positive impact not just on stabilizing the climate, but also on water availability. Complementing that with more effective water management (both supply and demand) is the key to successfully addressing the challenge. While smart policy—at the international, national, and local levels—is essential, the business community also plays a key role. By recognizing the profit potential in solutions to climate change and water scarcity, businesses and entrepreneurs can thrive in both the near and long term. Jeff Erikson is the director of global projects at Carbon War Room, and the former senior vice president at SustainAbility, which in 2010 polled water experts around the world about solutions to the water crisis. This was written this for Thinking L.A., a partnership of UCLA and Zócalo Public Square.